If you have tuned into Netflix’s hit show Queer Eye season 3, you have probably already seen the endearing and uplifting episode featuring a pair of badass, Kansas City barbecue pitmasters, Deborah “Little” Jones, and her sister, Mary “Shorty” Jones. 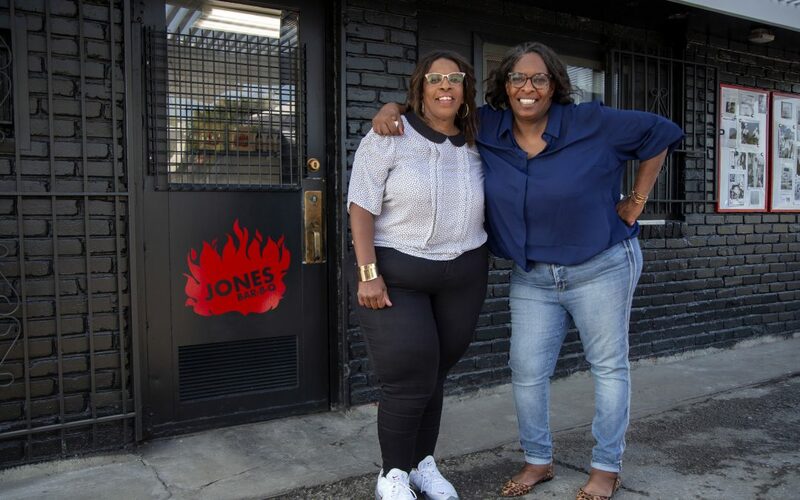 The Jones sisters have operated a barbecue joint, Jones BBQ, for decades. Inspired by the teachings of their father and his work ethic, Deborah and Mary start their day early cooking up barbecue old-style. That means no oven—but setting up an actual barbecue pit with wood and getting the day’s menu items prepared. The duo’s day often starts at the crack of dawn. Of course, such a hard day’s work leaves little time for self-care—manicures, pedicures, spa visits. So the Queer Eye crew, known as the “Fab Five” (the second round of gay men on a mission to enrich lives; the original Fab Five appeared on the Bravo TV series Queer Eye for the Straight Guy in 2003), swooped in to the give the Jones sisters, and their business, makeovers of a lifetime. 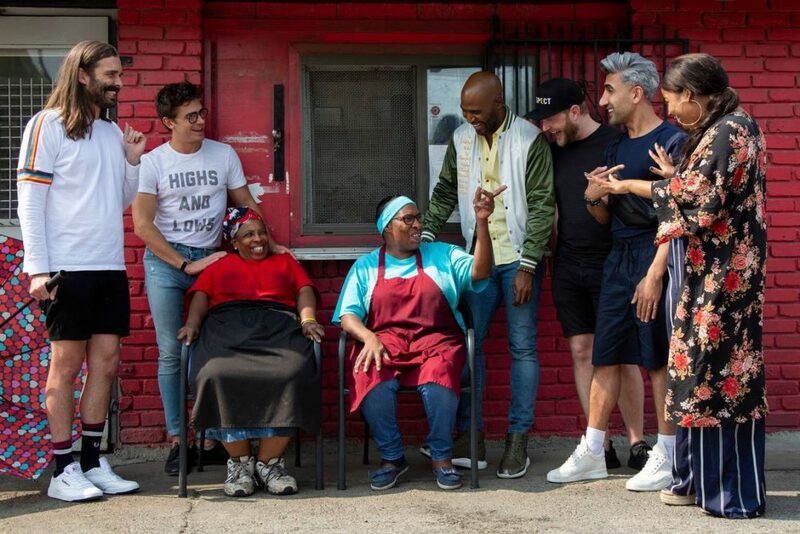 The Queer Eye cast not only gave both women glamorous makeovers, but updated their restaurant, and connected them with a manufacturer to help them mass produce their secret, family-recipe barbecue sauce. Make no mistake, despite the publicity garnered from the appearance on Queer Eye, the Jones sisters are entrepreneurs and have been for a long time. Deborah spoke about suddenly being in the spotlight and the impact that has had on their business. “We’re getting another [barbecue] pit next to the one we have to handle the overflow,” explains Deborah. The show has ramped up their number of customers. And the sisters couldn’t be more excited about the outcome of the show. The demand extends to their bottled barbecue sauce. While she couldn’t give an exact figure, Deborah says they have sold over 70,000 bottles. “We got the [manufacturing] guy making as much as he can, and we are trying to get that caught up,” says Deborah. 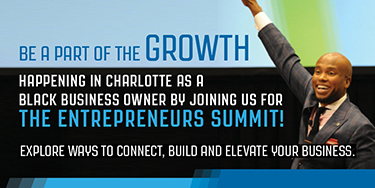 These entrepreneurial powerhouses have been in business for 30 years and hail from humble, yet proud beginnings. When they were little girls, their father, Leavy B. Jones Sr., perched them atop milk crates to look over the barbecue pit at the very first Jones Bar-B-Q restaurant. Now, they are getting publicity from media companies as well as requests for TV appearances. Word is out about Jones BBQ—how do the ladies keep up with the extra customers? When asked if they have yet to hire extra help Deborah explained not as of yet. She and her sister are still running operations, but are trying to figure out what additional staff would entail. “I don’t want to promise someone a job and then we have to lay them off,” says Deborah. Thanks to networks dedicated 24/7 to food, and the emergence of food competitions, barbecue has been uplifted from mostly a mainstay of the backwoods South to gourmet-level delicacy. Yet, the most well-known and highly-regarded barbecue pitmasters and chefs tend to be men, and many on the competition circuit are white men. Deborah shared her thoughts on being a successful black woman pitmaster. “We don’t do any competitions, we just stay in our little restaurant,” says Deborah, who also does most of the cooking. She says gender was never an issue when her father was teaching her and her sister the ways of barbecue. The Jones sisters’ father seemed to know the value of ensuring his kids and in particular his girls, had well-rounded skills. But he was also big on education. Deborah instilled that sentiment into her own daughter. Her daughter is a huge motivation for her to keep the restaurant running. 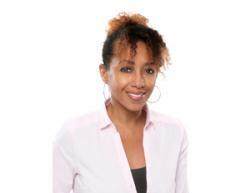 That’s real important when I’m gone or your dad is done—you are going to be out here by yourself; you have to be able to take care of and handle yourself,” Deborah explains. So was there anything the Queer Eye cast suggested that either sister felt uncomfortable agreeing to go along with? Just one thing, Deborah says. And did they keep up with their spectacular makeovers? “That is a lot of time to get makeup situated,” says Deborah. “I don’t wear polish because I mess with food. For my fingers and toes I go every Thursday, and get my hair done. Debbie always keeps her hair in place. I go to Janae- I get my hair washed and set. If I am going somewhere I put on a little lipstick,” she admits. 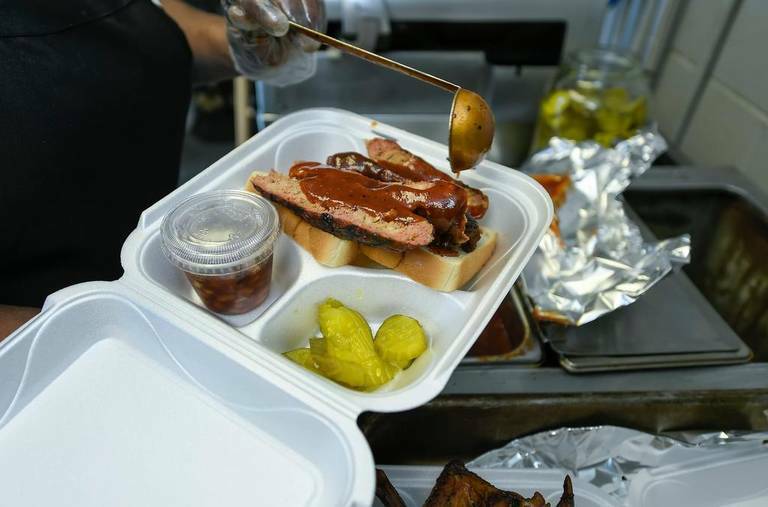 As far as plans for expanding Jones BBQ into a barbecue empire now that the establishment has national attention, Deborah says slow down about that. And, Queer Eye fans, those tearful goodbyes between a makeover subject and the Fab Five are genuine. It seems fame has not affected Deborah or her sister in the slightest. While they are happy about the opportunities afforded to them by being on Queer Eye, they have always been guided by lessons learned from their father. “My dad always told us make an honest living. As long as it’s an honest living, don’t feel bad. Barbecue is an honest living. I’ve had other jobs- I’ve worked for the post office and the bank, but I do this because I like it,” says Deborah. By the way, you can order a bottle of Jones BBQ sauce from their website.